Oysters Rockefeller is one of the most popular oyster dishes. It combines butter, breadcrumbs and cheese to create an indulgent treat. Like most other seafood, oysters go very well in a soup or broth. Is there a more decadent meal than oysters? The jovial process of shucking, preparing and eating an oyster is popular for families coming together for the holidays. But how much do you know about oysters? First, let’s get down to the basics. Oysters are harvested from the ocean. In the U.S., oysters are grown off the East Coast – mostly in New England, along the coast of the Gulf of Mexico, and along the West Coast, usually in the northern parts. While there are countless species of oysters, the flavor of the oyster is determined by the minerals, nutrients, and salinity in its water and mud bed. This means that each oyster, even of the same species, will vary in flavor. At Festival Foods, we carry Irish Point Blue Point oysters. Possibly the most iconic oyster in the U.S., the Blue Point oyster has quite a history. 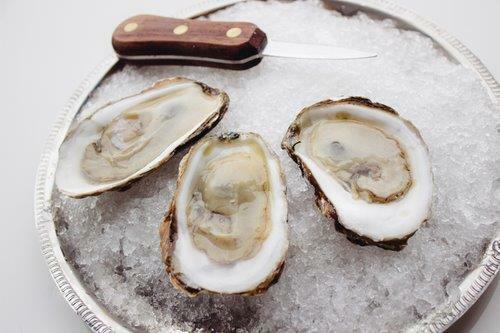 First made popular in 1800s Manhattan by the working class, Blue Points are the bread and butter of the oyster world. The taste is mild, light and sweet. Festival Foods oysters are from right off the coast of Prince Edward Island in Nova Scotia, Canada. They are grown in suspended trays deep in the ocean. The cold water off the coast of Canada and the specific harvesting technique creates the sought after tender meat and deep cups. Here’s the fun part – eating! The most common way to consuming oysters has been eating them raw, however in the last century, “cooked” oysters have gained popularity. Oysters can be baked, steamed, fried in a pan, or even grilled. 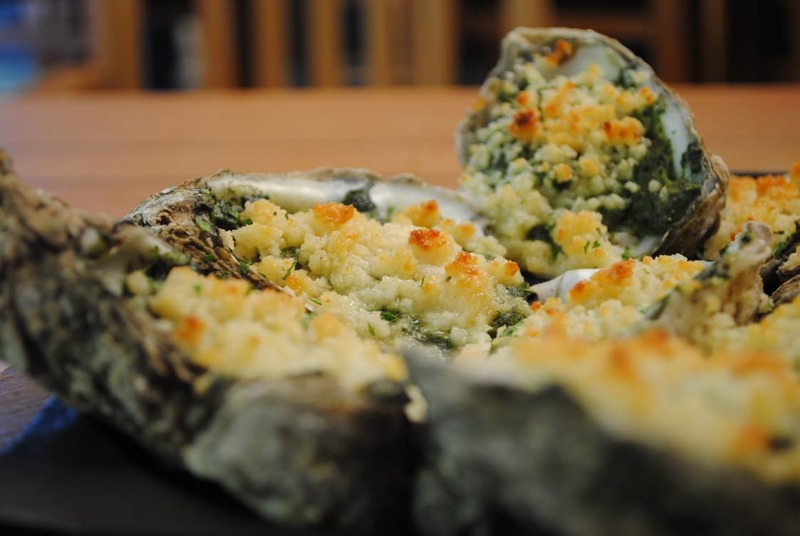 Oysters Rockefeller is one of the most popular oyster dishes. It combines butter, breadcrumbs and cheese to create an indulgent treat. Like most other seafood, oysters go very well in a soup or broth. Try this creamy oyster stew in place of your go-to soup on a cold evening. For just a little bit lighter, grilled oysters with a shake of tangy Worcestshire sauce would make a welcome addition to any dinner table. While most think of oysters as an extravagant treat, they are packed with nutrients like iron, magnesium, zinc, vitamin B-12 and so much more. The debate is still out on when is the best time to eat oysters. Many believe they are meatier in months that include the letter “r” or in winter. However, with new ways of harvesting, many others argue that oysters are delectable any time of year. Oysters are able to change their gender. Yep! Most oysters begin life as a male and change to female. This occurs because of how the oyster grows and if they are crowded by others. Oyster farms are sustainable – and good for their ecosystem! 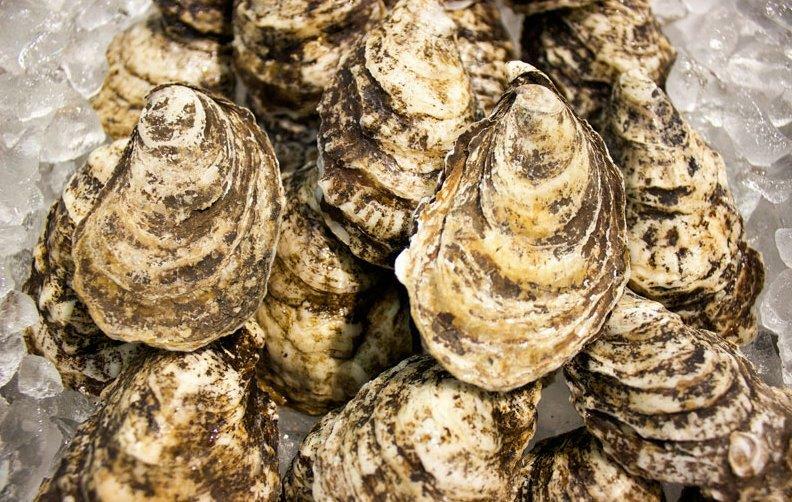 One oyster can filter 1.3 gallons of water per hour. Oysters filter water in through the small hairs on their shells and consume the plankton, algae and other sediment that enters. In doing so, they’re cleaning the water around them. If you do choose to eat oysters raw, follow the 6 S’s of oyster eating. SEE – Take a look at the exquisiteness of both the shell and the muscle within. You want your oyster to be wet. SMELL – The smell should be reminiscent of sea salty air with a twinge of sweetness. Anything fishy or overpowering means the oyster is not good. SIP – Before the main event, take a sip of the liquid inside the shell to get a feel for the salinity (a term for how salty the water is). SLURP – This is it! Slurp that oyster with conviction! The louder the better. SAVOR – Time to enjoy this delicacy. Take a few chews. SHELL – Turn over your oyster to relish in the organic beauty of the shell… and then go back for more! How do you like to eat your oysters? Let us know on our Facebook or Instagram!